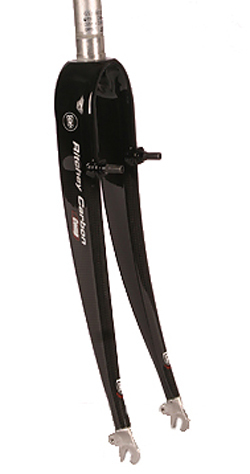 Ritchey Comp Cross Forks are designed to help you build your ensemble cross bike using affordable parts to pull together a bike that can be raced or dodged through the urban landscape of unpredictable pavement with confidence. The aluminum steerer extends into the crown for added strength. The crown is sized for traditional headsets. 650 grams.